Key Features: TextKey is the world's first Omni-Factor Authentication (OFA) system that provides an unprecedented seven factors of authentication activated by the user simply sending a standard text message from their cell phone. More info. Key features: is the first computer vision API on the market to understand complex visual scenes. It provides an optimized search and discovery experience for unstructured data, especially digitized media content. More info. Key features: The Linktropy Mini-G is a portable, gigabit-speed WAN emulator available for under $5,000. The Mini-G simulates bandwidth, latency, and loss to test application performance under real-world conditions. More info. Key features: Canonical’s planning to use these very small clusters as mobile cloud demonstration units, but you can buy them yourself, if you’re in the market for a 10-node device powered by Intel NUC boards. More info. 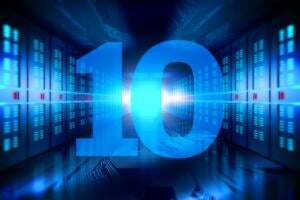 Pricing: available as a physical, virtual or hosted appliance, with pricing starting at $8,900 for the physical or virtual appliance and 100 managed computers. 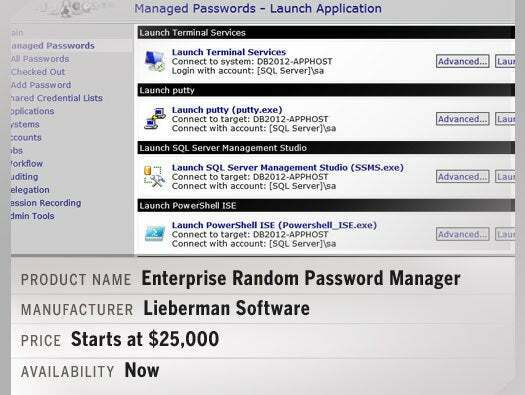 The appliance as a service is available for $6.50 per managed computer per month. Key features: employs agentless technology to provide greater visibility and discovery of all network-connected devices, and offers multi-OS support, automated application blacklisting to decrease security risks, and a new user interface to simplify IT management. More info. Key features: enables organizations to identify endpoint content across all employee-owned and corporate devices, capture and place legal holds on relevant data, and support data filtered in for review/tagging. Key features: is a private social intranet service that protects SMB's business information while improving productivity. Streams, wikis, blogs, and apps are secure behind a firewall or in a company’s private cloud. More info. Key features: A massively-scalable, high-performance public cloud that exposes the native OpenStack API and delivers "out of the box" virtual and bare-metal hybridization, allowing organizations to match cloud infrastructure to application requirements. More info. 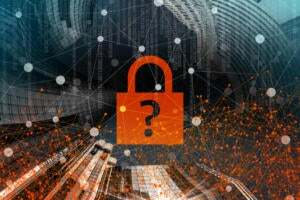 Key features: The Ixia Application and Threat Intelligence (ATI) Processor identifies suspicious activity such as unauthorized BYOD usage or business connections from untrusted locations. It detects new applications without signatures and provides mobile device identifier and browser information. More info. 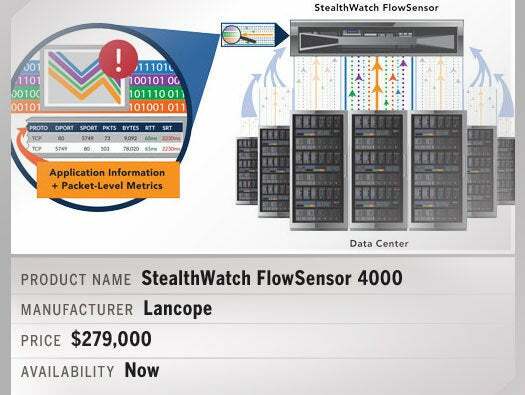 Key features – Lancope’s StealthWatch€ FlowSensor 4000 is scalable to up to 20 gigabits of sustained bandwidth to deliver greater network visibility, security and troubleshooting for service providers and enterprise data centers. Key features: New privileged user management (PUM) capabilities for cross-platform applications, a broad array of cloud provider portals, SaaS vendors and social media platforms. More info. Key features: Looker is a web-based data discovery platform. New features include in-browser application development, a new visualization framework and support for high-availability analytic environments. More info. Key features: Magento’s update to the Enterprise Edition of the Magento platform will make it easier for retailers to provide seamless mobile experiences and provide new payment options for customers. More info. Key features: Lily 3.0 enables companies to deliver more personalized customer experiences by analyzing big data and building individual Customer DNA in real time. It connects all data sources to better engage customers for more effective marketing programs and greater customer lifetime value. More info. Key features: Extends NetIQ's block-based transfer protocols and Server Sync technology to the latest hypervisor versions from Microsoft and VMware. 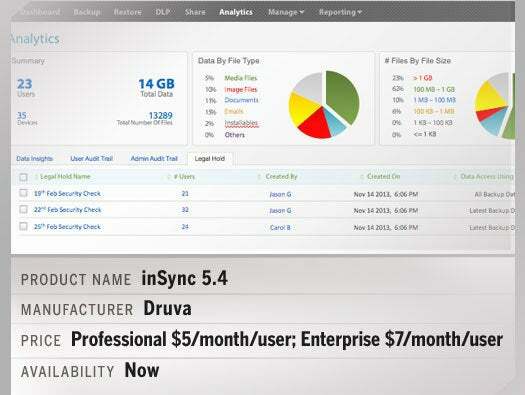 It supports larger system drives and offers true anywhere-to-anywhere migrations. More info. Key features: Protects physical and virtual servers with a single DR solution, either by leveraging an existing recovery environment or by extending VMware’s Site Recovery Manager (SRM) capabilities to physical servers.More info. Key features: Supports the latest OS and hypervisor versions from Microsoft, VMware, and others, providing an all-in-one disaster recovery hardware appliance that protects physical and virtual workloads; delivers exceptional RPOs and RTOs. More info. Key features: delivers enterprise apps and collaboration to any mobile device in minutes, optimizing them with a unique adaptive user interface technology. More info. Key features: Now certified by Microsoft, Radiant Logic’s new Cloud Federation (CFS) is a Security Token Service (STS) that enables enterprises to secure access to cloud-based applications—even when identities are scattered across disparate authentication sources beyond just Active Directory. More info. 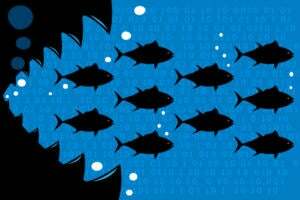 Key features -- With OpenShift Enterprise 2.1, Red Hat is introducing consolidated log and metrics management and exposing a new plugin interface that will allow operations to better integrate existing policy orchestration into the PaaS platform. More info. 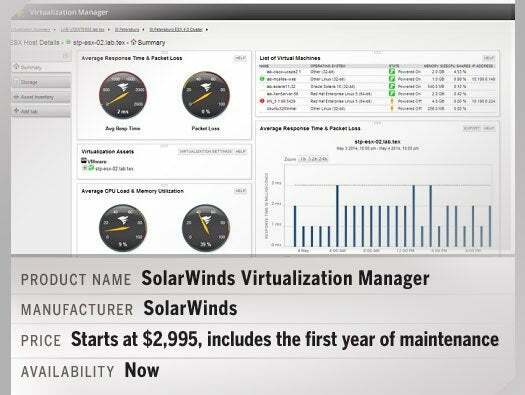 Key features: Virtualization Manager offers extended reach and visibility with functionalities including baselines, role-based access control, and common alerting and reporting via integration with software that shares the SolarWinds technology “backbone.” More info. Key features: combines the features of Nessus with a central console which provides extensive management and collaboration functions for sharing Nessus scanners and results among teams. More info. Key features: The Viptela SEN is a network architecture that integrates routing, security, segmentation, and policy. More info. Key features: Vobi is the first mobile contextual collaboration solution designed for teams that allows users to share resources and communicate in real time. Integrates IM, video/audio conferencing, presence, desktop and file sharing with more features to come. Captures past and current conversations to create a natural work flow model and historical perspective that can be referenced throughout the life of a project. Key features: KEMP Condor ADC with HyperFlex Architecture offers true multi-tenant application delivery and NFV service chaining. An application on-demand delivery framework, Condor comes as bare metal software independent of proprietary hardware. More info.